It's a gloriously hot day in Serbia. We're sat outside Vlada Janjić's bakery, where he sits calmly dragging on cigarette after cigarette telling tales of his time as an integral part of Belgrade's electronic music scene in the 1990s. Janjic is a tall, gaunt, bespectacled figure, gentle and warm. As he peers from behind his glasses, dragging on cheap Serbian smokes, he relays at length his stories from time spent as a figurehead of Belgrade's techno scene during the 90s. It's a different, quieter life for him now – once a pirate radio show host, party animal and staple of Belgrade's underground, he now runs a bakery in the centre of the city and supports a family. There's something Godfather-esque about him - everybody knows him, everybody makes sure they say hello and the streets seem to be his. He says of opening a bread shop: "I just wanted to do the opposite of techno". On this boiling hot day on the streets of Belgrade, he tells his story of the 1990s and a scene that revolved around one place – Klub Industrija, an 800 capacity club that proved a sanctuary for disaffected Serbians in the midst of conflict and a place that he helped to mould along with Gordon Paunovic and Boza Podunavac, fellow DJs and supporters of free media in a period of state propaganda. At the turn of the 90s, Belgrade was a city mired in conflict and corruption. Slobodan Milošević had been elected, Yugoslavia was all but dissolved, Serbia, Croatia and Bosnia were entangled in a brutal conflict, with ethnic, religious and territorial tensions fierce. Belgrade was a place strangled by nationalism. It was an uncertain and violent time for Serbia, a place where Milošević frequently used state-run media as a powerful weapon to incite hatred, while still not officially at war. Janjić, Paunovic and Padunovac all hosted on B92, the Belgrade media outlet consistently shut down by Milošević, that proved to be a force behind many demonstrations against the dictator. "We started with the pirate radio station (B92) in 1990, that was where it all began, and where we all met," he says. "At first we had a license, then that got taken away but we continued broadcasting anyway. When they shut us down, we'd just find different frequencies and start again using a separate name. During this period it was hard, both politically and economically, and we were the only independent electronic media outlet in Belgrade. We provided news, information and music without any bias. The authorities didn't like it. All the house and techno we were playing on B92, we started playing in Industrija a few years later too." From B92 came Industrija, the club that opened in 1994 and gave birth to techno culture in Serbia amongst the context of wars, sanctions, inflation and poverty, a basement nightclub situated underneath a large bookshop in the centre of the city. It was here that Belgrade's youth truly expressed themselves, where teenagers snuck in to take drugs, where flamboyance and hedonism could truly express itself amidst the tanks, bulletproof vests and shells. Industrija was a barely decorated underground room, with a large soundsystem and a community united by the discovery of new music and new drugs. While Milosevic's droogs paid no particular attention to Industrija, preferring to concentrate on preventing B92 from speaking out against the regime, it was impossible to escape the reality of war. Boza Podunavac says, "It is a paradox. All of us remember Milošević’s time, or the 90s as the period of state repression, decline, poverty, general devastation of the country and its citizens. But on the other hand no one was bothering us in Industrija." As B92 co-founder and DJ Boza Podunavac explains: "In the 90s there was general depression, wars and the rage of nationalism. It was so strange because all around us there was unity – the Berlin Wall fell and the EU formed, but we were torn apart. Because of all that, Industrija was a place of refuge for our generation, a place to escape reality." The club was a haven where many young Serbian DJs began their love affair with music, experimented with love and substances and absorbed music from around the world. "Industrija was the beginning, a focal point for so many people,' says Janjić. "The energy was so unique and so new for so many kids in the city. We were playing music from underground house labels in New York and Chicago, but techno didn't really start here until Industrija. Then the drugs came and everything fell into place. Those first few years were such a blast. It was beautiful, a truly emotional place, if a little naive." One kid who benefited from the supportive underground infrastructure of Industrija was Marko Nastic, arguably Serbia's most highly regarded DJ. He cut his teeth in the club when he was just a teenager and it was there that he laid his own foundation for international success, encouraged by Janjić, Paunovic and Podunavac. "Yeah, he started out there," says Janjić. "We invited them to play when they were just kids, like 16 or 17 and even gave them their name, Teenage Techno Punks. There was nothing else to call them, that's just what they were, playing half naked, waving their hands around and mixing like mad. It was really authentic and special, just to see how dedicated they were. For those kids there was nothing else that existed in the world, just music and mixing." Feloneezy, a member of Belgrade's Mystic Stylez crew, is too young to have been to Industrija, but talks of its cult status in Serbia, the stories of "amphetamine fuelled clubbing" and the "myth that people are in love with". 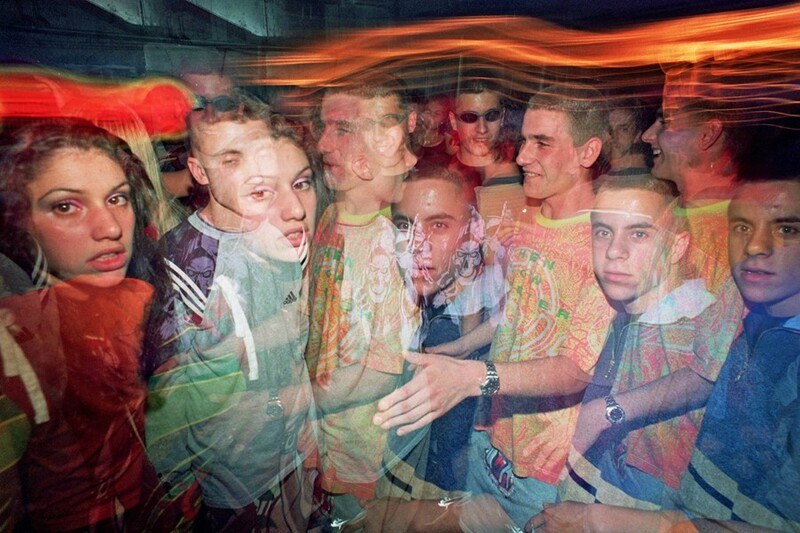 Like almost everywhere else in Europe, drugs inflitrated nightclubs in the early 90s and ecstasy embedded itself within dance music and rave movements across the world. "From '94 to '95, ecstasy had a huge influence on the scene, it was so much fun," says Janjić. "Then there was a wave of Eastern European producers of drugs from around the former Eastern Bloc (Poland, Czech Republic) who took over and so Serbians started making their own drugs. 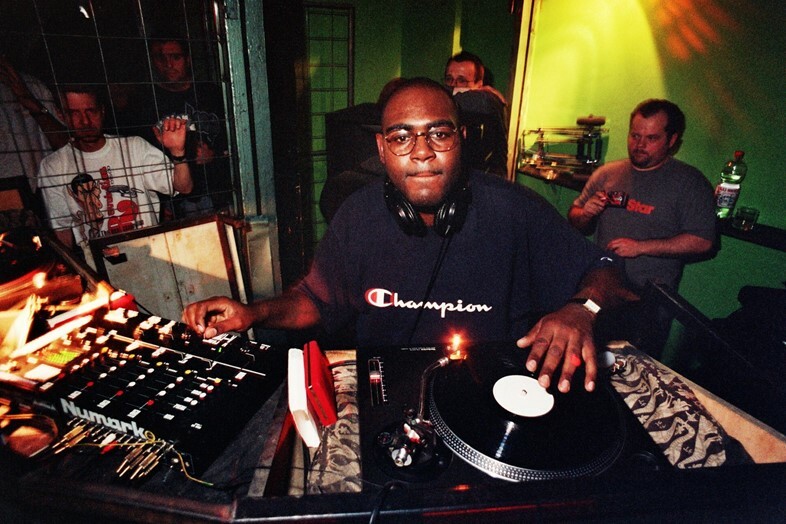 By '97, '98, the club was full of nasty amphetamines, or cheap substitutions and I could feel it when I was playing, I could feel what kinds of drugs were dominating the party. There was another club in the fortress at the top of the city called Kalemegdan that football supporters would go to all fucked up on hard stuff, starting fights, asking for the music to be louder and faster. Lots of guys, less girls. I hated that." 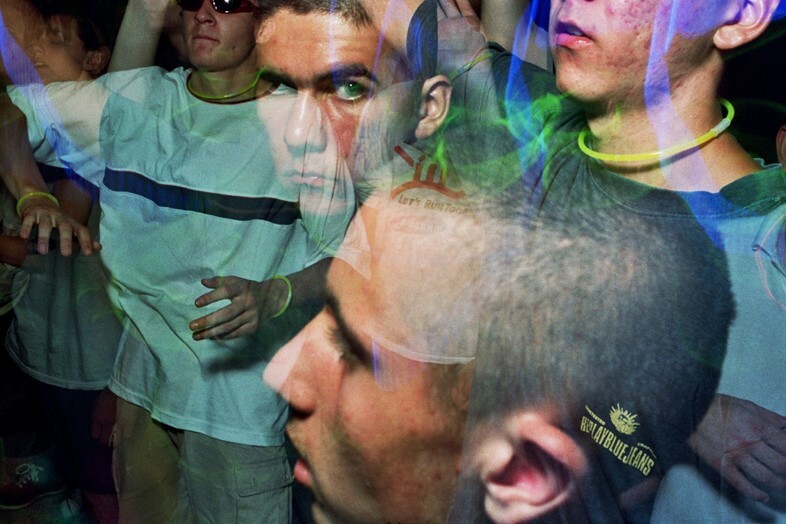 Towards the end of the 90s, Belgrade's underground flourished while the surface fell apart. Slowly steered towards disaster by the dictatorial leadership of Milošević, the bombs flew as regularly as bullets and gangs ran wild on the streets as the Serbian leader embarked on a horrendous genocidal mission in Kosovo. Janjić cannot bear to remember everything. "I've completely erased the memories of 1999 from March to June (the NATO bombings of Belgrade)," he says. "B92 was shut down by the government when the bombings started, because they knew that we were free media and they didn't want that. Belgrade was under curfew so during the daytimes we'd go to Industrija to listen to music. The music wasn't really loud, but we'd all just meet to hang out. At night you'd hear the sirens. That meant that bombs were hitting the city and you couldn't go outside. We got used to it and looked to music and hanging out to forget it." During the 1999 NATO bombings of Belgrade, a military operation carried out to protect Kosovo, 14,000 bombs were dropped and 2,000 civilians were killed by uranium bombs and cluster munitions. During this period Industrija operated with a 3pm-10pm curfew and provided refuge for those who couldn't face the horrors of war that pervaded the outside world. The quietened music meant that the sound of air raid sirens pierced through the walls with ease. In October of 2000, Milošević was toppled by a people's revolution, symbolised by Ljubisav Đokić, a man who drove his bulldozer into the RTS building, Serbia's state run public broadcaster, while he was being peppered with bullets. Facing financial pressures, Industrija shut the same year that Milošević was deposed and the symmetry is hard to ignore; did the club's spirit realise that the job was done? It left behind years of memories and coming-of-age tales, only re-opening in 2012 for a nostalgia trip that Janjić remembers fondly. "I remember when I walked down the stairs that night, about 11 or 12 years since I'd been there. I felt my stomach go and I smelt the smoke machine again, even though there wasn't one there that night. It was so completely physical, it was 1994 again." It's now just a memory, a collections of smells and sounds locked away in the brains of the people that it shaped. It was Belgrade's true underground, a debauched and grimy paradise that helped to shield its inhabitants from the horrors of outside, a club that meant so much more than the sum of its parts, four walls that symbolised a rebellion. Thanks to Vlada Janjić, Boza Podunavac, Srdjan Veljović and MAD In Belgrade for their contributions to this article.